Darien Arts Center's final play of the season, "The Runner Stumbles," will conclude its run this weekend. The plot tells the story of how a young nun dies under mysterious circumstances in a remote parish in northern Michigan. Her superior, Father Rivard, stands charged with her murder. The action alternates between interrogations, testimony and scenes from the past, which reveal that Rivard, banished to the small, up-country Michigan parish, fell in love with Sister Rita. When circumstances force her to move into the rectory with him, his anguish becomes unbearable. Their relationship inevitably spells tragedy, but not until the explosive and surprising climax of the play is the full extent of their sacrifice made clear and the identity of the murderer revealed. 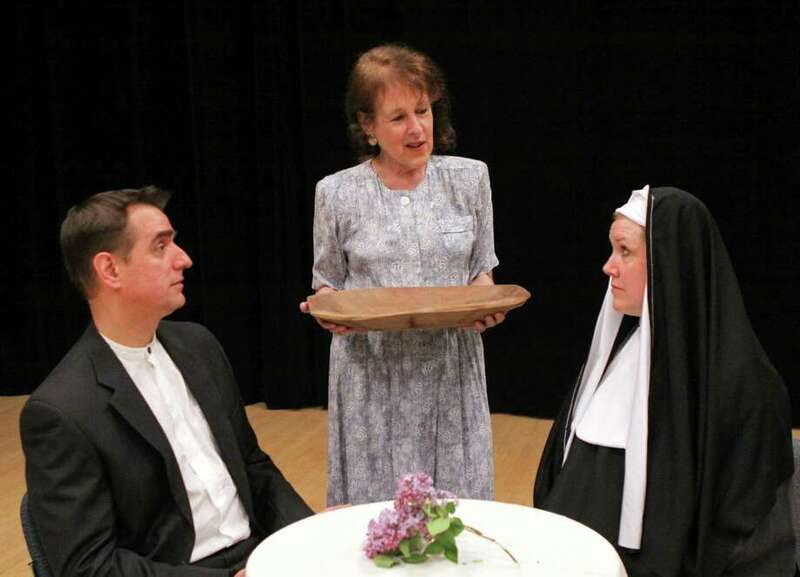 The production is directed by John B. Coppola of New Rochelle, N.Y., and stars Richard Warren, of Bridgeport, as Father Rivard; Kate Telfer, of Greenwich, as Sister Rita; and Barbara Lencheck, of Norwalk, as Mrs. Shandig. The cast also features Darien teacher Abigail J. Warren. Performances will take place at the DAC Weatherstone Studio, 2 Renshaw Road, Darien, May 18 and 19 at 8 p.m.. Tickets are $25 for adults and $20 for seniors. For more information, call 203-655-5414, or visit arts.darien.org.